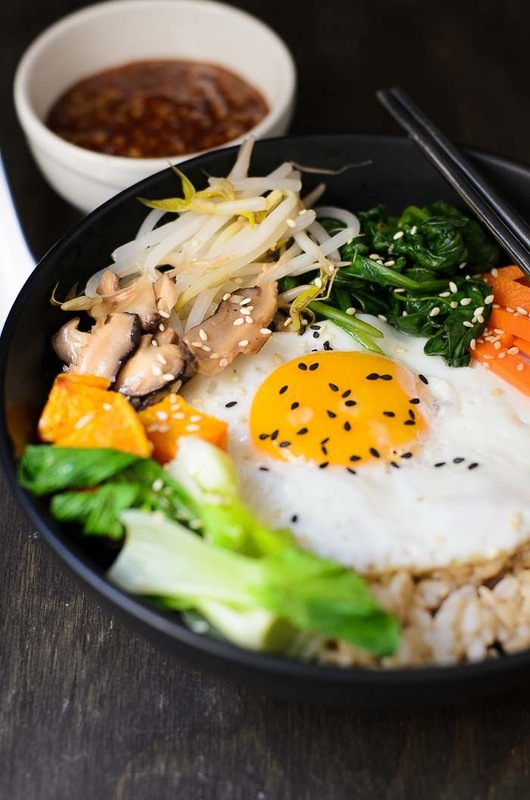 Healthy vegetarian version of Korean mixed rice known as Bibimbap. Serve with hot and spicy bibimbap sauce. 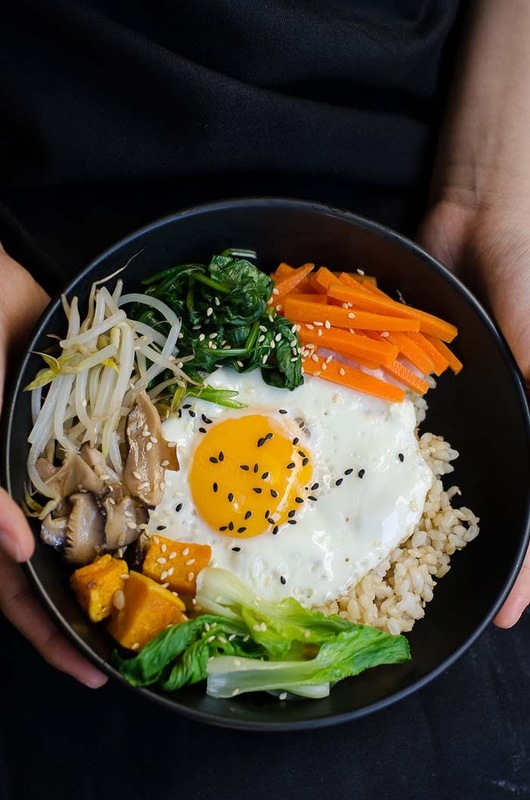 Bibimbap Bowl ~ comfort food in a bowl. It is a Korean dish of vegetables and rice in a bowl. 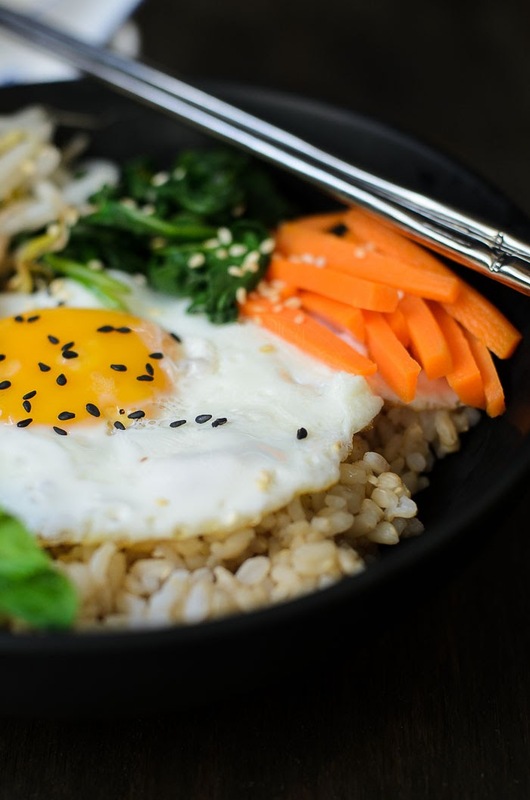 Bibimbap or Bi Bim Bop means "mixed rice". Condiments such as sauteed vegetables and arrays of blanched (perhaps steam veggies) were arranged on top of hot rice in a bowl. Generally, thinly sliced beef, sunny side eggs were served along side vegetables in most Bibimbap bowl. But I chose to not use beef this time! 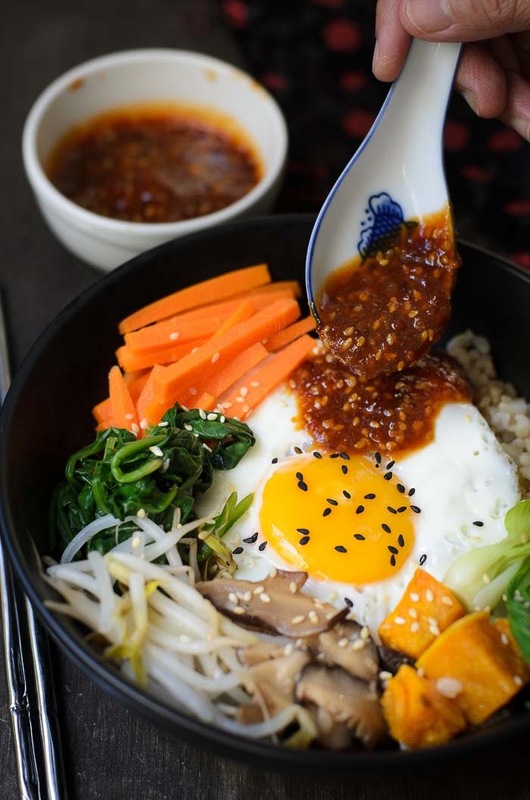 Remember, the bibimbap sauce that I blogged, not too long ago? Yeah, we cooked extra, every time and all the time! We use some and freeze the remaining Bibimbap sauce in little containers. Very handy, very convenient... just thaw and use. Perhaps one vegetable that Korean may not have in their Bibimbap bowl is bean sprout! and may be roasted pumpkin too!! as I was told by a die hard "K-pop/ K-drama" daughter of mine :P.
Trying to get the 'right' vegetables for my bowl of Bibimbap can be a challenged, we make do with what we have, buy what the season has to offer. This is my busy weekdays (can be read as lazy too ;p) go to dinner, its very easy, as long as we have the Bibimbap sauce handy in the freezer, cooked rice, few handful vegetables and sunny side eggs (bulls-eye)! Voila!!! Korean Bibimbap bowl is done! 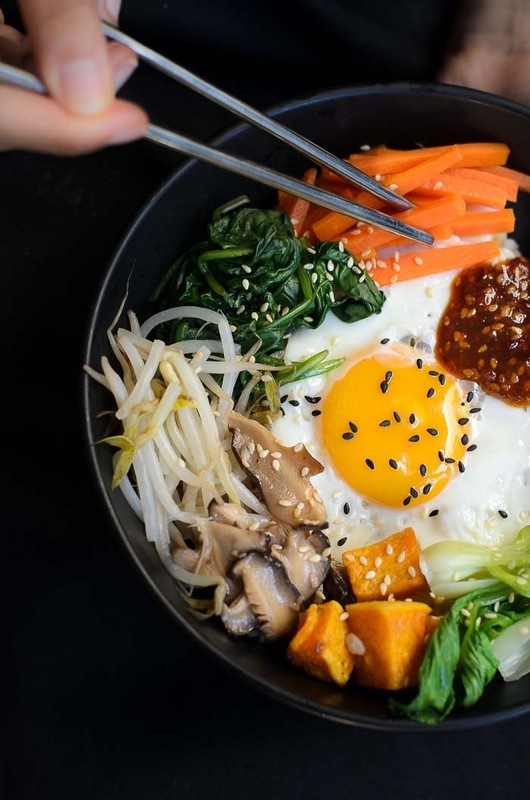 Healthy Korean bibimbap bowl. Serve with delicious spicy bibimbap sauce. Pre-heat oven to 200C. Diced and coat pumpkin with canola oil. Season with salt. Roast until tender. Heat frying pan, pan roast black sesame for few minutes (3-5 minutes). Set aside. Arrange vegetables around the bowl, add egg, Sprinkle toasted sesame seeds. So scrumptious looking! I love bibimbap. 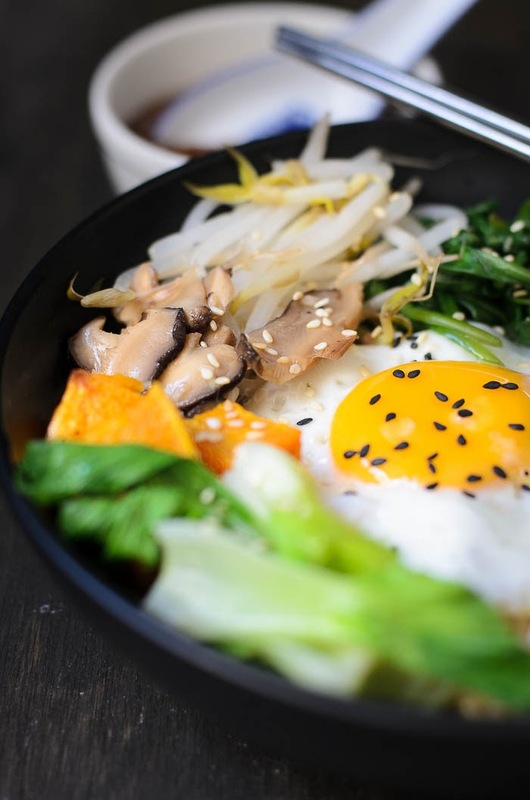 Lisa, your bibimbap stir looks so good ! Love your homemade sauce so much. Thank you Kristy for trying my sauce :D.